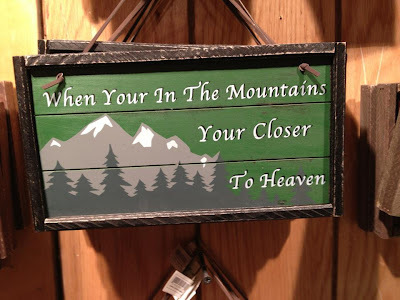 John writes that this apostrophe catastrophe causes hundreds of "daggers in his eyes." To make a number such as 100 plural, you can just add an "s," but in this case, it would be better to just write "hundreds of uses." This looks like it is saying "one hundreds of uses." Bradley was horrified to see this ad pop up on his screen featuring a your/you're error and misuse of the word "to," not to mention a missing period. I normally don't post web ads, but this one is from a major company, so it definitely counts as a catastrophe. Ben in Marysville, PA, wrote to tell me that his friend told him about Apostrophe Catastrophes one night over drinks, and then he found this double apostrophe catastrophe the next morning at breakfast. 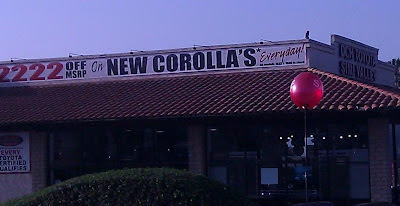 I hope the food was better than the punctuation! 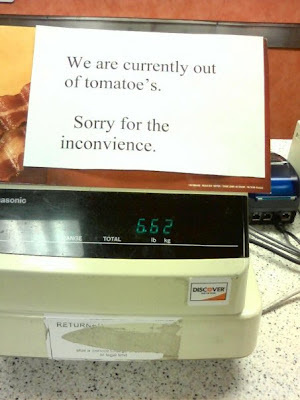 Jamie spotted this apostrophe catastrophe at a grocery store in Clarkston, WA. She says that there was another sign advertising "GRAPERFUT 2/$1" that she did not capture. 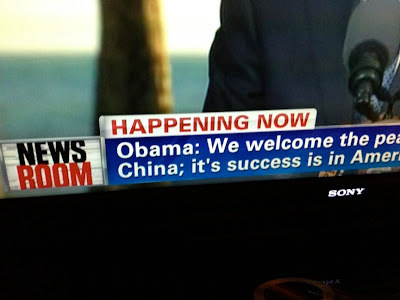 Alan sent in this apostrophe catastrophe that he spotted on CNN during a report from Hawaii. 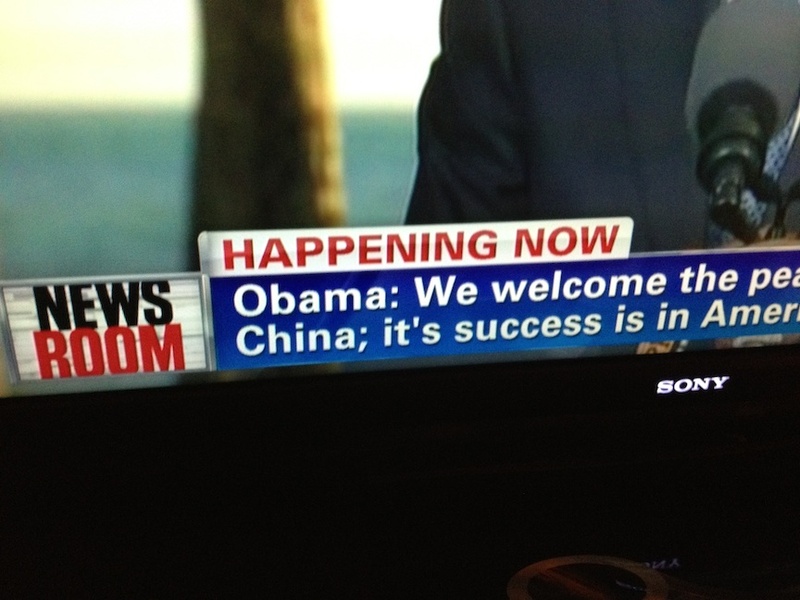 He's sure that they are typing fast to get the captions up, but it's a catastrophe nonetheless. Fred spotted this blatant apostrophe catastrophe at a Toyota dealership in California. Incidentally, the sign should say "every day," not "everyday." There is a difference. Joe spotted this sign that features two apostrophe catastrophes and a missing comma at a mall in Lansing, Michigan. I appreciate the sentiment, but am appalled by the punctuation (and capitalization of articles). Can You Punctuate Me Now? Adam spotted this double apostrophe catastrophe at a Verizon store. He says he "was surprised to see that the nation's largest carrier can't be bothered to proofread their promo materials." 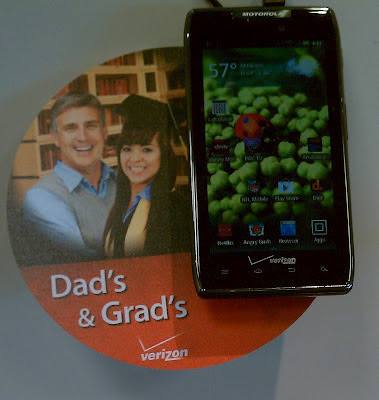 Verizon's reception is excellent, but its punctuation leaves something to be desired.